This spring Betka Galičič (Slovenian famous bolting lady, author of the majority of routes in Slovenia) cleaned and equipped 10 new routes in Buzetski kanjon near the town Buzet in Croatia. You will find them on the left side of sector Pengari. 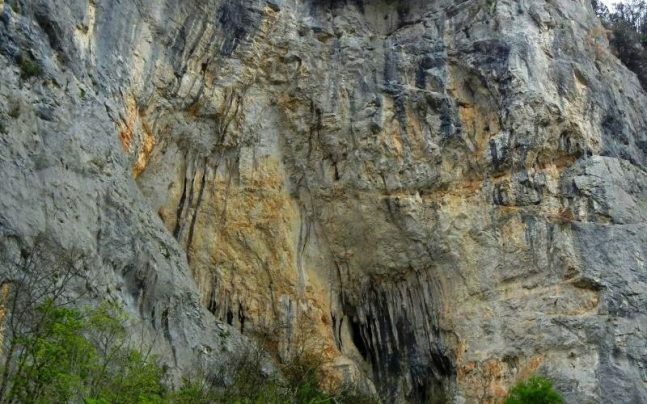 The routes are all 25-40 meters long in the range from 6a to 6c+. They are completely vertical and of great quality on solid grey limestone which reminds a lot on Paklenica. As well she bolted a new sector called Plaža (The beach) just couple of meters uphill from the parking of the right canyon, passing the stream on your left side before going uphill to sector Pengari. 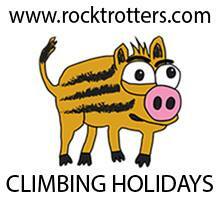 There are now three new routes in the same style, quality, length and difficulty. Pure joy! Both sectors are in the shade in the morning until around 11-12 AM, which makes them possible also to climb in summer. In the afternoon you can visit sector Đoser or Ljetni sector (Summer sector), also called Befana. 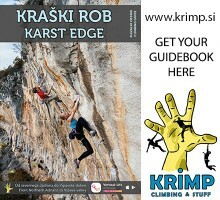 All the bolts and anchors were donated by Slovenian publisher of climbing guidebooks Sidarta. 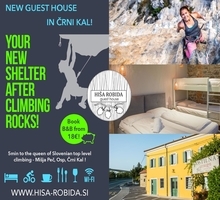 Compliments to Sidarta and Betka Galičič for a new nice contribution to climbing in Croatian Istria. The information about new routes you can find on the list of routes of Buzetski kanjon.